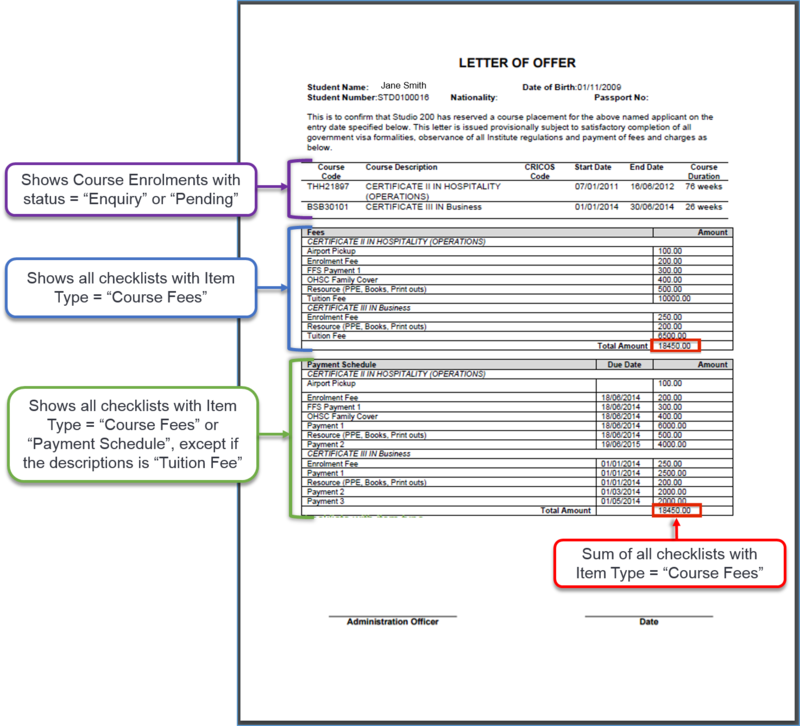 It is important to have all appropriate fields set up against the Learner and Course Enrolment including Letter of Offer Checklists. This will take you back to the Logbook page where the generated pdf document will be saved. Click on the document link and it will download a copy to your computer. You can now print or send out your Letter of Offer. This step is more important during initial testing however due to the importance of the information on Letters of Offer it may always be a useful step.